There are about a thousand medical volunteers who help during the October race. Getting that many strangers on the same page for a massive one-day event isn't easy, but it's gratifying work for the many involved. 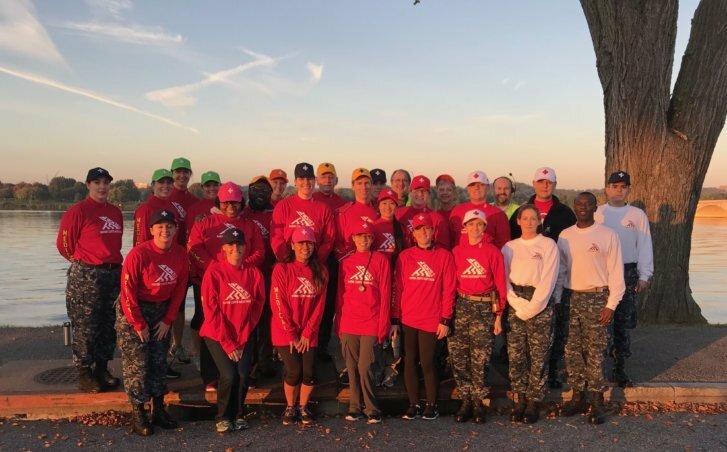 WASHINGTON — It may be more than a month until the Marine Corps Marathon, but the preparations are nearly complete for the medical staff that supports the October race. There are about a thousand volunteers who help with the medical needs for the race, including the hundreds who work in the 14 medical tents that support runners along the 26.2-mile course through D.C. and Arlington. Getting that many strangers from around the county on the same page for a massive one-day event can be tough, said Shelly Weinstein, who oversees medical operations for the race. It takes a nearly year-round effort to get the medical team and resources ready for the race. Organizers determine medical supplies and equipment needed for the aid stations, decide where along the race course to put the tents, recruit volunteers and train them for their roles. A YouTube video sent to all volunteers helps train them for their roles. But overall, most volunteers won’t see anything they aren’t able to handle. “Even though different systems may have different protocols, the way you take care of people doesn’t change. You’re empathetic, you stop and you do vital signs and then you assess. Those rules of practice are the same no matter where you’re from and what your role is. So from that standpoint, we can actually assimilate very well and work very, very well together,” Weinstein said. All the prep work leads up to marathon weekend, which includes a kid’s fun run, a 10K race and marathon — all of which bring thousands of participants and spectators to the D.C. area. Most of the medical tents can do what Weinstein calls “first aid plus”: offer oxygen, automated external defibrillators, Vaseline, first aid supplies, basic medications and ice. Anything more serious may require transporting a runner to the hospital, she said. Musculoskeletal issues — such as strains, sprains and blisters — most frequently sideline runners and cause them to stop at medical tents, Weinstein said. Most of the cases are minor, and medical teams stretch them, give them ice, tape them or bandage them before sending them on their way. Of the 14 aid stations along the course, five of them are “enhanced,” meaning they have the ability to do additional lab work, cardiac care and treatment for heat stroke. Those stations are located “where we historically have seen people have problems. So we use our data to look back and try to make things a little bit better every year,” Weinstein said. The marathon’s smallest aid stations have nine people; its largest ones have more than 100 people. The race is a time for volunteers like Dr. Charles Stubin to flex some medical muscles they may not regularly use. Stubin, for example, works as an OB-GYN at Kaiser Permanente in Silver Spring. “It gives me an opportunity to combine an interest in medicine and a love of medicine. Also, it’s a love of sports and running and being in a different medical setting than my day-to-day, week-to-week office life,” said Stubin, who will work at a medical tent for his 10th year during this fall’s marathon. “Being on the marathon course allows me to reconnect with the primary care and just taking care of more general medical problems,” added Stubin, who trained in family medicine. Dr. Nailah Coleman, a pediatrician and pediatrics and sports medicine specialist at Children’s National Health System, has volunteered with the event for about five years. She said the event is a way to assist during one of racing’s biggest days. “It’s a big event for the racing community. A lot of people come from far away to run in the race, so it’s great to participate and help them out and be a part of that day,” she said. Teams at each medical tent are equipped to help anyone who needs medical attention. While the medical teams are happy to assist runners, they are just as fine to go unnoticed. 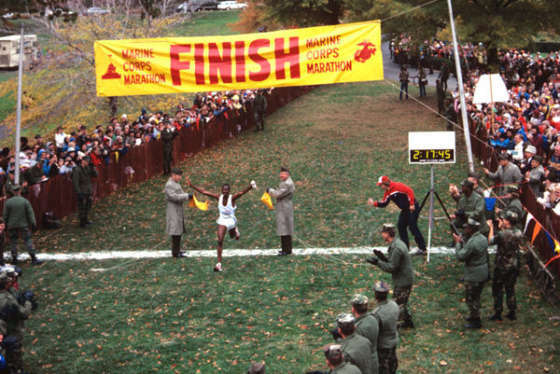 “I think the runners know we are there. I think most of them want to go past the aid station and never have to stop, but I think there’s a reassurance for them that if they need to seek care, we have great care that we provide to these athletes … with a smile on our face,” Weinstein said. The goal is always to get runners back on the course — and the medical teams do it well: More than 98 percent of the runners finish the race, Weinstein said. “Most of our runners, if they start, they are going to finish, and we will do everything we can to safely let them continue to finish the race,” she said. The medical team’s loyal band of volunteers help make the event a success, Weinstein said. They come back year after year “for the love of the sport and taking care of these athletes to make sure everyone is OK at the end of the day,” she said. “I don’t think any participant really thinks they are going to end up at an aid station, let alone sick or going to the hospital that night. So I think this group of volunteers that we have is just very proud to take care of them, and they take their job incredibly serious, but they have fun. People have made friendships out of this,” she added. For Stubin, he’s just happy contributing to a bigger mission. “I feel like I’m a very small fish in a very big pond of talent associated with the Marine Corps,” he said.